The last time we saw Devon Travis in action (that wasn’t a Spring Training game), it was Game 1 of the ALCS in Cleveland. He felt a sharp pain in his knee, immediately signaled the training staff and limped off the field. Things didn’t look good. In fact, they looked pretty bad for Travis. He didn’t return for the remainder of the playoffs, but in the back of my mind I wondered just how substantial Travis’ injury really was. Devon Travis underwent knee surgery in November, and to the surprise of many, will be likely ready for Opening Day in Baltimore. 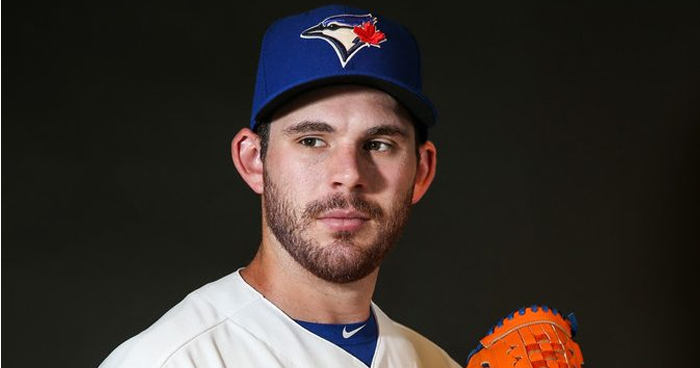 If only the Blue Jays can keep Travis in his protective coating until then. If there’s one phrase which is instrumental to the Blue Jays’ success this season, it’s “a healthy Devon Travis”. The word “healthy” has to be specified because Travis has been anything but during his first two seasons in a Blue Jays uniform. When the Blue Jays initially lost Travis to injury in mid-May of 2015, Ryan Goins magically stepped up and performed far better than anyone could’ve imagined. Even though Travis returned from the DL in late June, he wasn’t missed all that much because Goins kept his torrid pace. In 2016, it wasn’t the same story. Throughout the first two months of the season, the Blue Jays not only struggled to find a suitable leadoff hitter, but Ryan Goins predictably came crashing back down to earth. When Devon Travis returned disabled list in late May of 2016, it was like a shot of adrenaline to the Blue Jays lineup. Considering Devon Travis’ status just a few weeks ago, it’ll be a pleasant surprise if he’s penciled into the Blue Jays Opening Day lineup. It can’t be understated; Devon Travis is integral to the Blue Jays’ success this year. Not only is he a pretty capable fielder at second base, but Travis has the unique ability to hit the ball to all fields. Most of his power is to the pull side, but Travis can pepper the ball almost anywhere on the diamond. In years past, the Blue Jays had other players to make up for the absence of Devon Travis. During the 2015 season, it was Ryan Goins, Kevin Pillar and Ben Revere. In 2016, it was Ezequiel Carrera to some extent. But this year, the Blue Jays don’t have a safety net if Devon Travis isn’t healthy. Admittedly, this is playing with arbitrary end points, but looking at the games which Devon Travis has actually played (163 total in 2 seasons with the Blue Jays), his 162-game slash line looks like .301/.342/.469. and he averaged 4.77 WAR if you combine his 2015/2016 results into one season. Those numbers would make Devon Travis a Top 10 second baseman. The Blue Jays haven’t boasted that kind of production at second base since the breakout campaign of Aaron Hill in 2009. It may be wishful thinking, but if the Blue Jays can get a full season’s worth out of Travis this year, there’s no reason he shouldn’t be one of the best young players at his position. Unfortunately, the “when healthy” caveat will loom over Devon Travis until he can consistently stay on the field for longer than three months. I wouldn’t say it’s something to be alarmed about, but the frequency of which he’s visited the disabled list these past two years is a little concerning. When Devon Travis is healthy (there we go with that “when healthy” thing already), he solves so many problems for the Blue Jays. 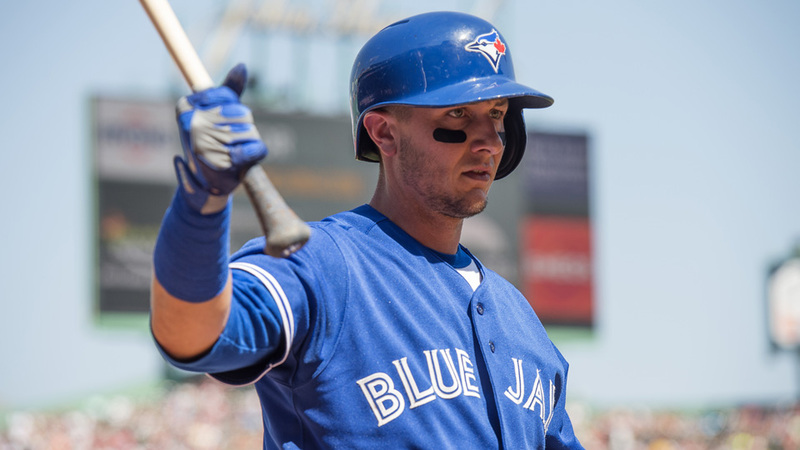 He becomes an above average fielder and a great partner up the middle with Troy Tulowitzki. Travis also sets the table at the top of the batting order for the big bats in the Blue Jays’ lineup. Travis also lengthens the Blue Jays batting order that much further and allows John Gibbons to spread around the offense, rather than going to someone like Jose Bautista in the leadoff spot. But if you take Devon Travis out of this Toronto Blue Jays lineup, the Blue Jays are suddenly shorthanded at a key position on the field and a crucial spot in the lineup. Not that losing someone like Josh Donaldson wouldn’t be devastating to the Blue Jays, but it’s not something they’re anticipating with Donaldson. He played at least 155 games the past four consecutive seasons. Meanwhile, Devon Travis is someone the Blue Jays should always have a backup plan for. He isn’t as frail as grandma’s fine china, but the fact remains, Travis struggled to stay healthy in 2015 and 2016. Most would agree the Toronto Blue Jays’ best lineup includes Devon Travis, likely hitting at the very top of the order. A full season of contributions from Travis sets the Blue Jays up to perform very well this year. Considering the American League East looks to be tougher than ever to win, the Jays are going to need all the help they can get. The current problem is Goins and how to keep him. Travis has not demonstrated the ability to avoid serious injury since he has been with the Jays. I would not be surprised if the Jays hold Travis back to keep Ryan another Jay out of the grasp of other major league clubs.